You are here: Home / FREEbies / FREE Kiwi Crate Box! Who wants a FREE kids subscription box?! 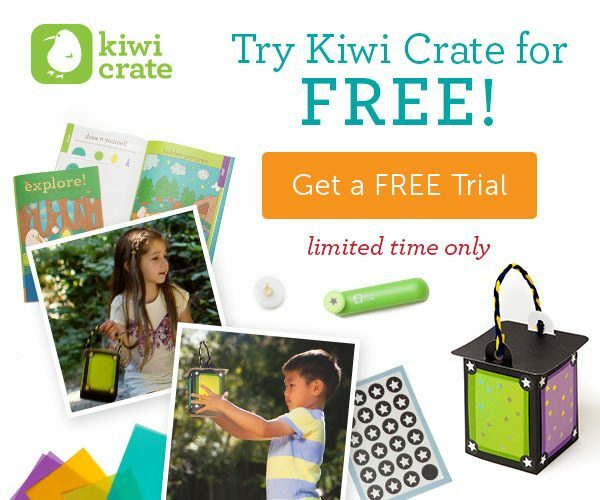 If you’ve been wanting to try one out for your kiddo, this is the time to do so – right now, you can get a FREE Kiwi Crate Box! I love subscription boxes, and I’ve been trying to find a good one for my 4-year-old daughter, so I’m psyched about this FREE My Starlight Lantern box! Kiwi Crate boxes are full of crafts and other great goodies to help your child learn, which I love!